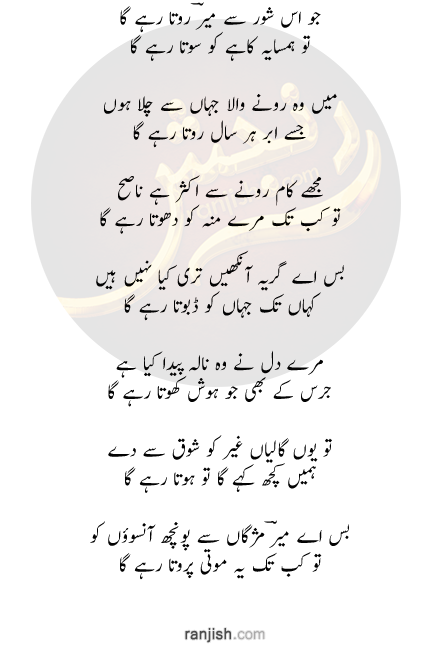 Ranjish.com has lots of Urdu Meer Taqi Meer Poetry. Feel free to add your own Meer Taqi Meer Shayari here. 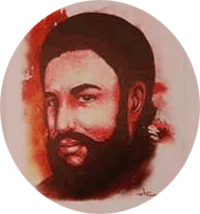 Mir Taqi Mir was an influential Indian poet who gave shape to Urdu language and literature. He is well known as God of Poetry because of his reputation among poetry lovers. He was born in Agra, but later moved to Lucknow where he lived the rest of his life. Mir’s collection of poetry has been published with the name of “Kulliyat-e-Mir” which consists of six volumes. Another book, which only consists Poems has also been published called “Kulliyat-e-Farsi”. One of his poem with the title of “Muamlat-e-Ishq” is known to be one of the best Urdu poems of all time. 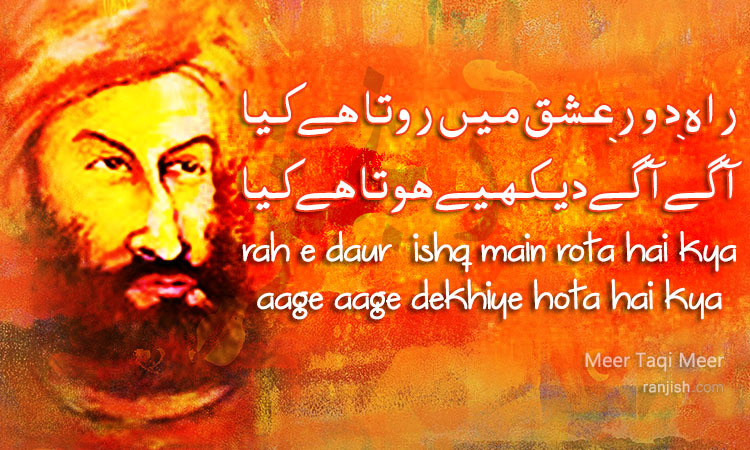 Keep visiting us for more Mir Taqi Mir Poetry. Aag thay ibtidaa-e-ishq main hum..
Ab jo hain khaak inteha yeh hai..
Ulti ho gayi sab tadbeeren kuch na dawaa ne kaam kiya..
Dekha is beemari-e-dil ne akhir kaam tamaam kiya..
Ab jo ik hasrat-e-jawani hai..
Umar-e-rafta ki yeh nishani hai..
Rote phirte hain sari sari raat..
Meer is ko raayegan khota hai kya..
Khaak daal, aag laga, naam na le, yaad na kar..
Qashqaa kheencha dair main betha kab ka tark islam kiya..
Jahan mei tum aaye they kya kar chale..
We update our poetry database on daily basis so keep coming back for more Meer Taqi Meer.